Many people find it hard to fight against Boxers because they are fast in their punches. But it is quite easy to handle them if you know how. A useful tactic is to cover their hands so that they cannot punch, and strike them continuously. If they try to escape by bouncing away, chase them closely. Make sure you cover their hands as you close in. 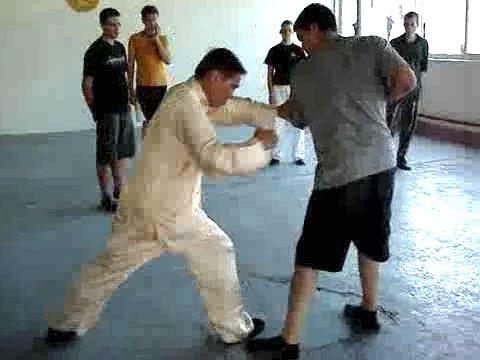 Effective Ways to Handle Boxers with Shaolin Kungfu from Wong Kiew Kit on Vimeo.